Former Prime Minister Vlado Buckovski accused the Special Prosecutor’s Office of manipulating the facts of the major Deutsche Telekom corruption case, after the lengthy trial resumed. Four Hungarian, German and Greek managers of the Macedonian Telekom company are charged in the bribery case over allegations that they paid leaders of the then (and now) ruling SDSM and DUI parties to ensure that the Macedonian Government will keep the telecommunications market closed for more foreign competition, allowing Deutsche Telekom and Magyar Telekom to keep a near monopoly through the Macedonian Telekom. According to the charges, backed by an investigation initiated by the American Securities and Exchange Commission and the Department of Justice, Greek intermediaries siphoned 7.5 million EUR from the Macedonian Telekom and paid them to companies based in Cyprus tied to SDSM and DUI in bogus consulting services. The money was then delivered to Skopje and given to top officials of the two parties, to ensure that their Government and majority in Parliament keep the market closed, in violation of European Union requests. 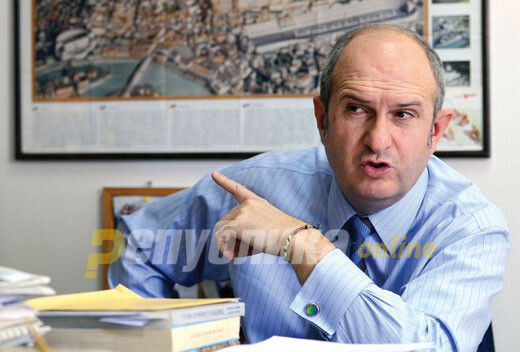 Buckovski was asked about one particular document which speaks about a payment to the “friends in Tetovo” identified by their initials “A.A. and M.G”. This corresponds to DUI party leader Ali Ahmeti and his then right hand man Musa Xhaferi, claimed former intelligence officer Slobodan Bogoevski, who also claimed that he served as an intermediary in these deals. Buckovski accused Bogoevski of falsifying the document, which was also admitted as evidence in the New York trial against Deutsche and Magyar Telekom.